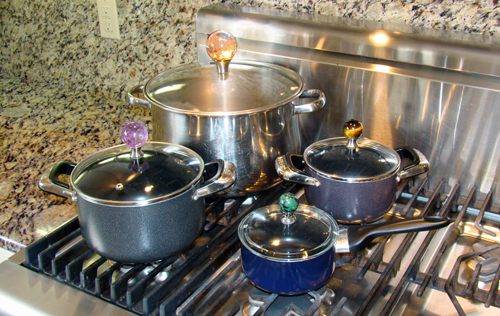 Dress up your stovetop in style! 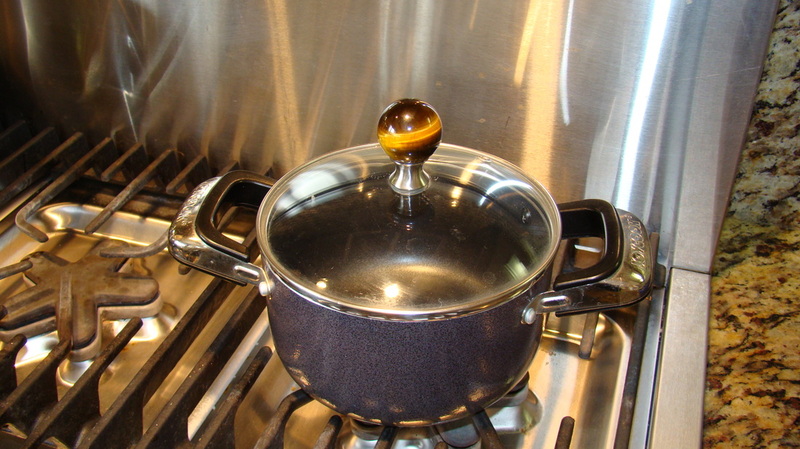 Add a beautiful 30-40mm sphere atop your pots and pans when you cook! Choose a 30mm sphere on this site and create a truly unique accent to your kitchen. to attach it to your lid. Stovetop use only - do not put in oven. IMPORTANT!! CHECK YOUR POT & PAN LIDS BEFORE ORDERING. These retrofit single-hold lids only. LID or PAN NOT INCLUDED. Ordering available as option on the 30mm sphere page. Choice of 4 finishes.